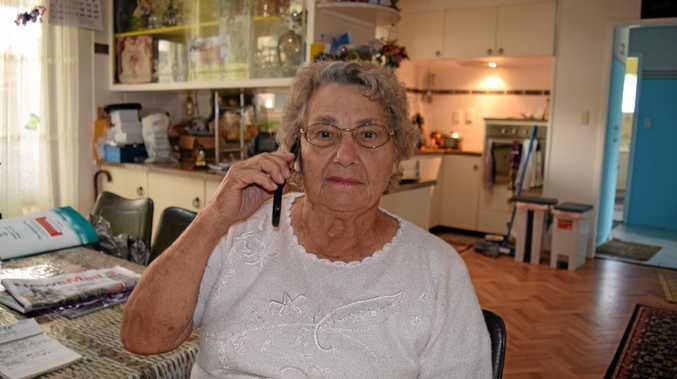 A BUNDABERG woman was almost scammed out of $1000 after a telephone call she believed was from the Australian Taxation Office (ATO). Angela Sbrizzi said she received a voice mail on Thursday from a man claiming to be from the ATO, stating that she had not filed her income tax properly last year and would be fined. The message stated that if she did not return the phone call and organise to pay a fee, a warrant would be sent out for her arrest. "The message scared the living daylights out of me. I was confused and in a panic, I thought I must have done something wrong," she said. "It sounded so real so I called the number back." Mrs Sbrizzi, who is a carer for her husband, said she spoke to the man who told her she had 25 minutes to give him $3,351, the quoted "penalty amount" for not completing her tax return properly. After stating she only had $1000 available in her account, the man ordered her to drive to Woolworths and buy $1000 worth of iTunes gift cards. "He made me switch from the home phone to the mobile phone and I wasn't allowed to put the phone down the whole time," she said. "He said, 'I don't want you to say anything or do anything, go straight to Woolworths. Take your husband with you but don't say anything to him.'" Tax scam call: Message left for a Bundaberg lady trying to scam her out of money. Mrs Sbrizzi said she began to realise the phone call was a scam when she was out the check-out. "He told me not to talk to any of the staff. I was to remain silent, get the vouchers and pay for them," she said. "He kept asking me to promise that he had my word on it. That was the clue that gave the scam away." "Something snapped inside of me and I said "Listen, I think this is the greatest scam of all time. I am going to the Australian Taxation Office" and I put the receiver down." Mrs Sbrizzi said two Woolworths check out employees then came to her aide. "The two girls comforted me. I was shaking all over. They told me that it was definitely a scam," she said. According to a real ATO spokeswoman, similar phone scams have been making the rounds throughout Australia this year. "We are aware of aggressive tax debt scams currently circulating and we have been working to remind Australians that there are a few key things to remember to avoid getting scammed," the spokeswoman said. "If you have a debt, we will write to you first. If we do ring you, our staff will identify themselves and let you know how you can call us back using our publically listed phone number." "If the person calling you is rude and aggressive, threatening police or legal action if you don't do something immediately - it's not the ATO." Mrs Sbrizzi said her experience had made her realise that not everything was as it seemed. "I now know that if any threat comes over the phone, to put the receiver down immediately and I would urge others to do the same," she said. If you think you've been scammed or would like to confirm the legitimacy of an ATO call or letter, phone 1800 008 540. If you feel physically threatened you should report the incident to your local police immediately.